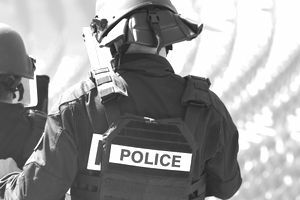 Before you can begin your career as a police officer, there are several hurdles you'll have to overcome. There's the background investigation, and perhaps a polygraph and psychological exam. And, of course, you'll have to attend a police academy. Even prior to all that, though, you'll have to get past the basic abilities test. The basic abilities test is a prerequisite for police academy admissions and is used to screen law enforcement candidates. The test serves to measure applicants' ability to perform the most basic tasks associated with police work. It also helps identify people who may not complete the academy successfully. There are different iterations of basic abilities tests, depending on your state, though generally, they measure the same basic skills. There is interest among many local and state agencies to move to a standardized test, and many states have adopted the National Police Officer Screening Test (POST or NPOST) to serve as their entry level exam. These generalized subject areas have been identified as being related to law enforcement duties an officer will likely have to perform on a daily basis. No specific knowledge of laws or the law enforcement profession is required, just a basic ability to perform at a certain level intellectually. Don't let the topics make you nervous. Again, you will be tested on basic skills. To help ease your concerns, familiarize yourself with the type of skills you'll need to demonstrate. Because these tests measure basic abilities as opposed to specific knowledge, it is difficult to identify any particular area to study. There are things you can do, though, to prepare yourself for the test and give yourself a better chance at success. No one expects you to be able to derive the minimum speed calculation formula here. Instead, you will be tested on basic arithmetic -- addition, subtraction and possibly some quick multiplication or division, but nothing that will require a calculator. Officers need to be able to perform simple math for a variety of tasks, but most people should have little to no difficulty here. You can prepare by practicing simple math problems, especially word problems that include counting money or figuring out how old a person is. This portion of the basic abilities test measures your propensity to understand what you've read. It will typically consist of a paragraph or short story that you will be required to read and then answer questions based on the story. Again, this should pose little problem for most people. It can cause issues with time, though, so it will be important to read quickly. The best way to prepare yourself for tests that involve reading comprehension, as well as writing ability, is to read, read and read some more. The more you read, the better you will get. Books, magazines, newspapers, read it all. It will help you not only read better but will increase your vocabulary and help you become a more proficient writer. On some tests, you may be presented with a map. You will then read a question that asks you to choose the best way to respond to a situation or call. Typically, you will be asked to identify the shortest route. It is a vital function for officers because they may be able to know the areas they patrol and respond to calls quickly. It's important to remember that these types of questions ask you to choose the best route, not the only route. For example, it's possible to get to New York City from Seattle by taking a rowboat around the world and through three oceans, but it's quicker to drive across the country and even faster to fly. Though not often discussed outside off police circles, the ability to write coherently is perhaps one of the most important functions officers perform. Criminals are convicted, and victims are compensated often based on a police officer's report alone. There's no question that writing skills are vital to any law enforcement career. As with math, no one is asking you to be able to diagram a sentence or to write the next great American novel. You are, however, expected to be able to complete sentences and to find spelling errors. Most tests will present you with an incomplete sentence and ask you to choose the right word in the proper tense. You will also see questions with an intentionally misspelled word and be asked to identify the spelling error. Questions that measure your memorization skills will require you to study a photo or drawing for a fixed amount of time. You will then turn the page and answer questions about the picture from memory alone. The types of questions you can expect will include "how many cars were on the street" or "in what direction was the person wearing the hat running." It will be important to pay attention to details on such questions. You can prepare for questions on memorization by studying a picture for a few minutes and then try to describe everything you saw. Before officers can solve problems, they must be able to identify problems. This skill includes situational awareness and problem identification. You will be given a scenario and asked to identify the most likely problem, or you will be presented with a problem asked to select the best course of action to take to solve the problem. In the days and weeks leading up to the test, make sure you are familiar with the types of questions you will be asked. You can obtain information about your specific test by visiting the website of your state's standards and training commission or body that regulates law enforcement training. Before the test, be sure to get a good night's sleep. Don't stay up studying or cramming. Instead, relax your mind and rest. Eat a healthy meal for dinner, avoid alcohol, and get a good breakfast in the morning. Arrive at the test site early to eliminate any possibility of being late. If you're unfamiliar with the location, scout the route ahead of time to make sure you know where to go. While taking the basic abilities test, take care not to read too deeply into the question; take it at face value. Before looking at the answer choices, try to answer the question on your own, then select the choice that best represents that answer. If you can't answer on your own, eliminate those choices that are wrong. Then, make your best guess. Choose the best answer; there may be more than one choice that could be correct if you read too much into the question, but only one answer is the best one. Answer the questions you know first, then go back and attempt the ones you struggled with; don't get bogged down with a difficult question to the point that you run out of time and can't finish the test. Above all, be sure to answer all of the questions. Don't leave any blank. Though you are only credited with correct answers, you won't lose extra points for getting a question wrong. If you don't know the answer, guess. There's no time like the present to prepare yourself for your future career. Though the basic abilities test is one indicator of success in the police academy, there's no guarantee you'll make it through if you pass. It will still be a long, hard road ahead. Getting past the entry exam, though, will be a huge step in the process of becoming a police officer.